Graduate through active materials scientists and materials engineers in industry involved in the recycling, reuse and reclamation of metals, plastics, other materials and industrial byproducts, and some more general environmental scientists and engineers. Ernst Worrell is a professor of ‘Energy, Resources & Technological Change’ at Utrecht University. From 2004 until 2010 he was the Director of Energy Use & Efficiency at Ecofys, an international sustainable energy consulting company. He was also a staff scientist at Lawrence Berkeley National Laboratory from 1998 to 2008, leading the industrial energy assessment research. Dr. Worrell has over 20 years experience in research and evaluation projects in industrial energy and material efficiency improvement, as well as waste management and processing. He has worked with chemical, oil refining, pulp & paper, iron & steel, cement, glass, food and many other industries around the globe. 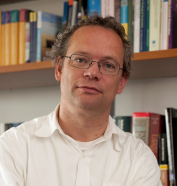 He is author of 4 IPCC reports, including the 4th Assessment Report and is the (co-) author of over 300 publications. He is Editor-in-Chief of the peer-reviewed journal Resources, Conservation and Recycling, one of the leading journals in the field of resources efficiency, and associate editor of Energy, the International Journal and Energy Efficiency. He is also an editorial board member of Waste Management. Markus Reuter is Director of Technology Management for Outotec, a global leader in minerals and metals processing technology. 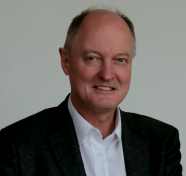 He is also Professor Emeritus at Delft University and former Professor of Melbourne University. Markus perviously worked for the European metallurgical and recycling industries (collectively eWaste) as well as automobile manufacturers. He has over 370 publications covering work on recycling, design for recycling, simulation process control and extractive metallurgy. 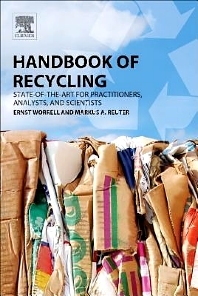 He has written a work on recycling, metallurgy and design for sustainability, metrics of material and metal ecology.